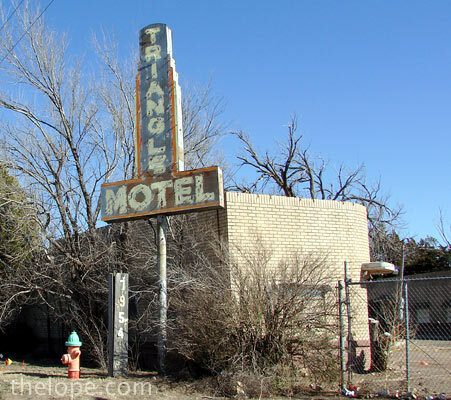 If you've enjoyed the architectural diversity of Route 66, you might want to read this story at Route 66 News. Here's the deal. 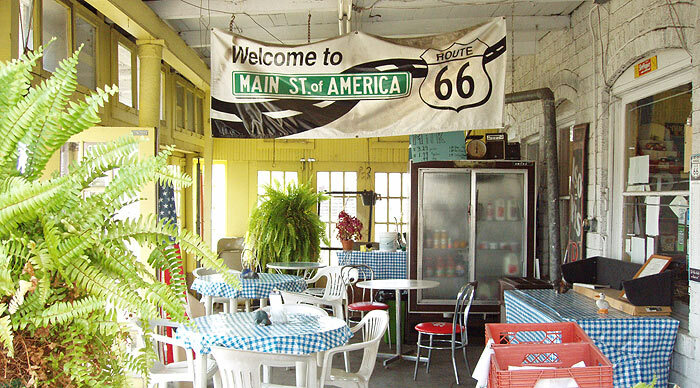 For the better part of the last decade, businesses along the eight-state run of Route 66 have benefited from the Route 66 Corridor Preservation Program which provides, among other things, matching funds for renovations, restorations and improvements of so many of the structures we hold dear. Aside from businesses benefiting from this, we, the tourists, did too. And who else did? 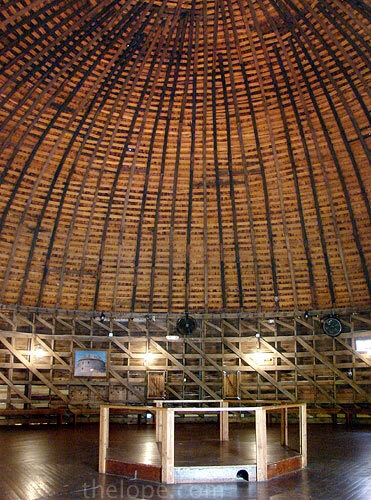 Nearby businesses as well as local and state governments through greater sales tax revenues generated by people like you and me who just had to have a sandwich from Eisler Brothers, take a picture of the round barn, nest in the conical splendor of the Wigwam Motel or feast on New Mexico neon. The program expires in 2009 but New Mexico Senator Pete Domenici (R) introduced a reauthorization bill (S.3010) this past summer. It's now part of one of those huge packages of bills - an omnibus public lands bill - we always hear about. The bill may be voted on this coming Monday, November 17, if Senate Majority Leader Harry Reid of Nevada (D) gets his way. This bill authorizes appropriations through FY 2019 to carry out the purposes of Public Law 106-45 (relating to the preservation of the cultural resources of the Route 66 Corridor and authorizing the Secretary of the Interior to provide assistance for the preservation of the Corridor). landscapes in the eight states through which the route passes. 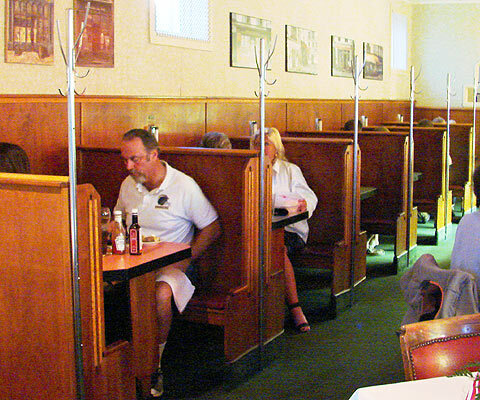 Assistance is also provided to support research, planning, oral history, and education outreach projects related to the preservation of Route 66. The problem is, Oklahoma Senator Tom Coburn (R) has raised objections to the whole of the omnibus bill and one of the particular bits he has criticized is the Route 66 Corridor Preservation program. This isn't a Republican vs. Democrat thing, by the way, the omnibus bill contains programs favored by both sides. Oh, did I mention the reauthorization calls for only eight million dollars in funds? Compare that to the amount you hear for about anything the government buys. It isn't a drop in the bucket of the recent bailouts. As I mentioned, there's more on this at Route 66 News. You can voice your concerns to Senator Coburn with this form on his website, or call his offices: Washington - 202-224-5754, Tulsa - 918-581-7651, Oklahoma City - 405-231-4941. Don't call Coburn unless you're in his district. He will ignore those who can't vote for him. Call your own Senators, both of them, who work for you. Don't hesitate to talk with a staffer. You're unlikely to get the senator, and the staffers pass everything along; it's their job. And even with those who sound as if they're blowing you off, believe me, they're paying attention and the message does get through. Also, make sure you're registered to vote - when you call, they'll often ask your name and zip code. Nearly all congressional offices have a computer program that allows them to see whether you're registered, and how often you vote. The more elections you vote in, the more they pay attention. Remember, for them, listening to constituents is about keeping themselves in office. Have the bill number and name handy. Make sure you mention it at least twice in the phone call, so they get the message loud and clear. Ask when you might be able to follow up - and then do so. Calling more than once indicates that you're paying attention. Be polite, be professional, be calm. Indicate where you stand on this bill clearly. Don't threaten to take away your vote; they don't respond well to threats, but they do understand that this message is implicit in your call, so it's unnecessary. Follow up if possible with a letter, but don't mail it - fax it. Mailed letters are now sent through an irradiation facility (for security reasons in the post-anthrax era). As a result, the paper is often so fragile, and the ink so damaged, it is unreadable. Faxed letters arrive immediately at your senator's office, fully readable. And written words that back up a phone call have far more effect than a phone call alone. E-mail is dicey. Some members pay close attention. Some are so thoroughly spammed with mass e-mail attacks that they really don't pay all that much attention. It's silly in the 21st century, but it's a reality on Capitol Hill." All this being said, there may not be an immediate problem if the bill is set aside by the lame-duck Congress and has to be reintroduced by the next Congress. Still, a show of concern can't hurt. 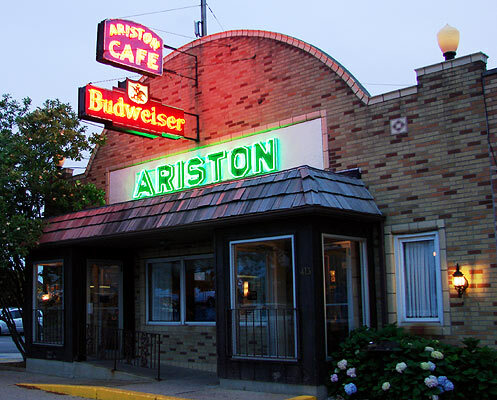 Remember, the bill in question is "S. 3010 Route 66 Corridor Preservation Program Reauthorization Act"
Now, lets take a look on just a few of the places that have benefited from the Route 66 Corridor Preservation Program so far. These are just a few, by the way, based on photos I have handy. I may well add more, later. 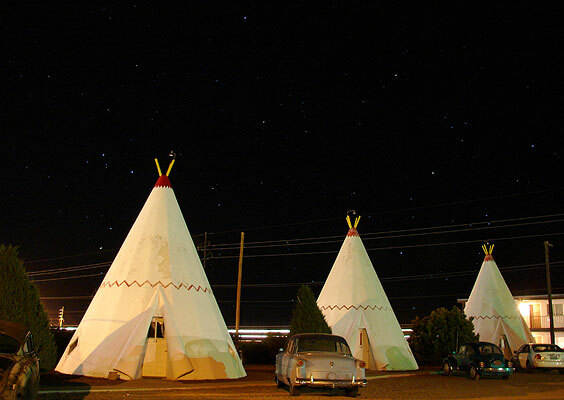 The iconic Wigwam Motel in Holbrook received $10,685 in matching funds in 2007 for "repair and upgrading of the original plumbing system, and with repairs to the exterior concrete wall bases." 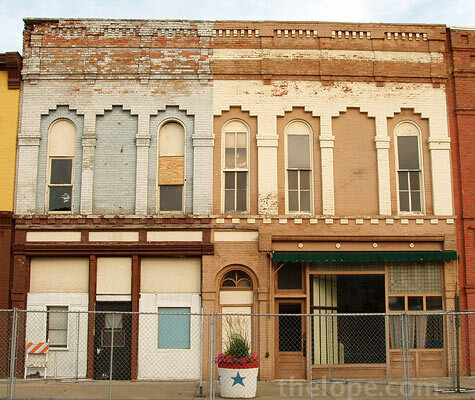 preparation of a long-term preservation plan and new roof." 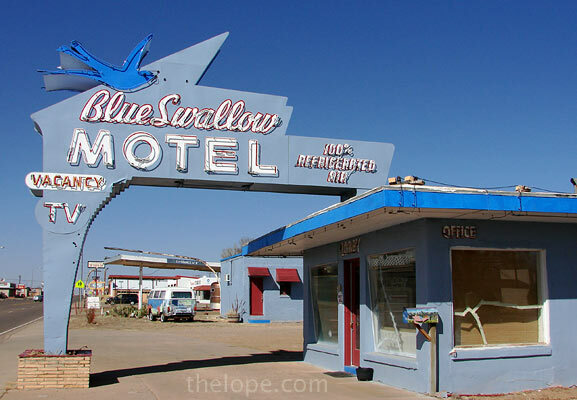 The Blue Swallow Motel of Tucumcari, New Mexico received $8,000 in 2007 through the New Mexico Route 66 Association to "assist with the repair of broken windows in the motel lobby, and with neon on the façades and eaves of the buildings." You can clearly see some of the damage in this Feb 29 photo. 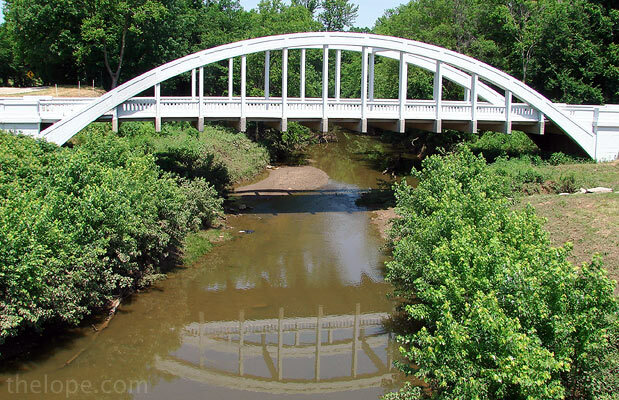 The 1930-vintage Independent Oil and Gas/Phillips 66 Gas Station in Baxter Springs, Kansas received funds, administered through the Baxter Springs Historical Society, and was rehabilitated for use as a Visitors Center. I've been there recently; it's very nice. 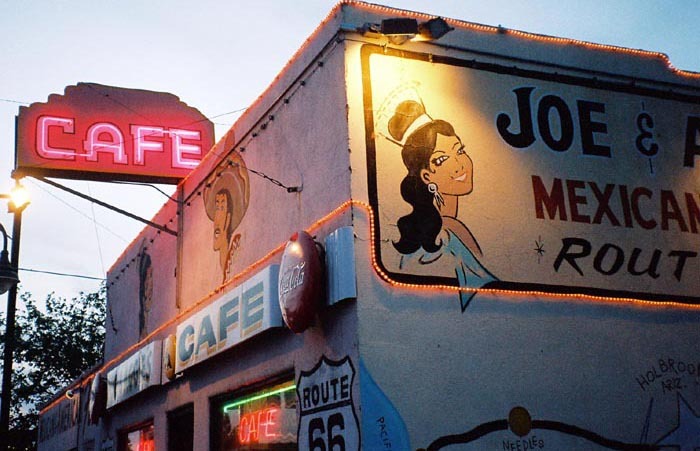 Joe and Aggie’s Café of Holbrook, Arizona received funding to make roof, structural, and electrical repairs. roof and electrical system upgrade. The owners of the Seaba Station near Chandler, Oklahoma, received $23,000 toward a new roof, electrical upgrades, and masonry repairs. 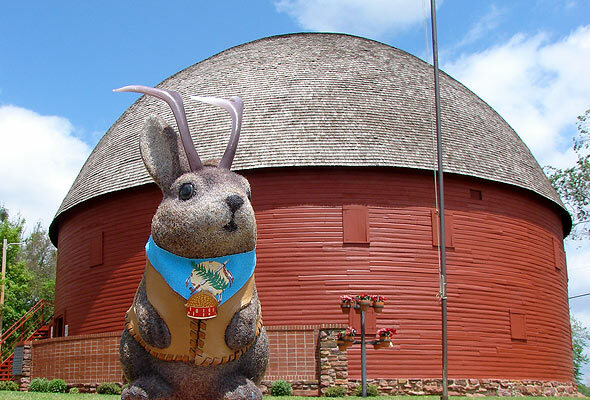 Also in Oklahoma, the Arcadia Historical and Preservation Society received $10,500 for repairs to the roof, siding, door frames, and window frames of the 1898 Round Barn. 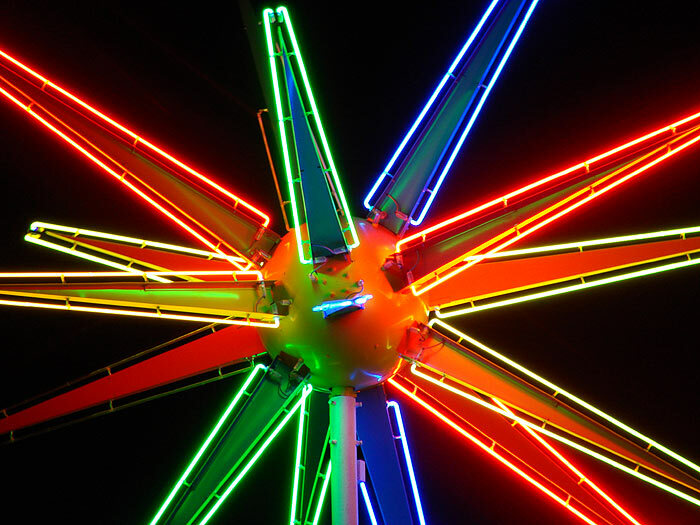 Quite a few neon signs along Route 66 in New Mexico, like this one in Moriarty, have been restored with help from the Route 66 Corridor Preservation program. I'll add photos of more of them, later. In the meantime, please do think about getting the word out to your various representatives. Thank You. Thanks for posting this so eloquently and colorfully! This is such an important issue. It's sad that it's a Senator from a Route 66 state (OK) whose vote may be the downfall of the Route 66 Corridor Preservation act.